Although state law on marital property division varies, 401(k) contributions made during marriage -- and any increases in value on those contributions--generally constitute marital property in a divorce. This means that the judge in your case can divide those funds -- even if you're the one who earned them. In some jurisdictions, the judge can award a portion or your entire 401(k) to your spouse. Depending upon the circumstances of your withdrawals, your actions may be viewed as attempts to hide marital funds from both your spouse and the judge. When you withdraw 401(k) funds, the court can treat you as having taken an advance on your share of marital property, meaning you will likely have to reimburse your spouse with other funds. Depending upon your reasons for making the withdrawals, the court may saddle you with a pre-tax, pre-penalty valuation of the funds. Since 401(k) withdrawals are taxed at your ordinary income rate and carry penalties if done early, you could have to compensate your spouse with more value than you yourself received. If you withdraw funds due to financial hardship, the court may not require you to reimburse the other spouse -- depending upon what you did with the money. Paying down marital debt or preventing the repossession of marital property can benefit both parties. If your spouse has a child or spousal support obligation that he ignores, you may get away with drawing down your 401(k) on the grounds that you may not have had to do it had your spouse paid you like he should have. Some individuals withdraw funds from their 401(k) to "pay off" their spouse, which triggers the imposition of taxes and early withdrawal penalties. These expenses are usually unnecessary; when you need to divide a 401(k) because of a divorce, a qualified domestic relations order (QDRO) can allow you to transfer funds to your spouse without paying those taxes and penalties. Instead of pulling funds out to pay down marital debt, consider a joint bankruptcy. 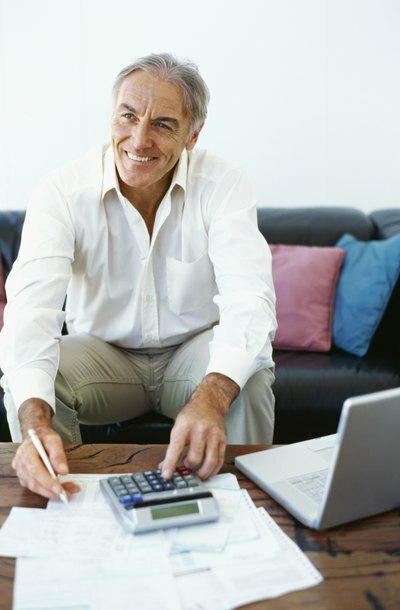 Under current law, you can obtain a discharge of some or all of your debt while keeping your retirement assets intact. State law can protect the other spouse in a divorce where there exists a possibility that the 401(k) owner may withdraw the funds. The divorce summons may contain a restraining order preventing the served spouse from withdrawing or selling marital assets. Parties can also ask the court for temporary restraining orders to prevent the disappearance of retirement funds during the divorce process. These restraining orders can be served on the 401(k) sponsor so that if the other spouse tries to make withdrawals in violation of the order, the account can be frozen. Bedrock Divorce Advisors, LLC: Can I Take Money Out of My 401K During My Divorce? If economic circumstances force you to seek bankruptcy protection, you may be concerned about whether you will be forced to give over your retirement savings to your creditors. In most situations, your retirement accounts are protected during bankruptcy proceedings and after the discharge of your case. You may, however, suffer tax penalties if you cash out your retirement accounts after your bankruptcy if you are not at least 59 1/2 years old at the time.